OPI nail polish is one of the most asked for brands, and it’s no wonder why! The award winning OPI line at Mollie Michelle Boutique Salon is a beautiful and rich collection of polish that stays true to its color and has renowned staying power with a professional, chip-resistant formula. Translation: You get irresistible, fashion forward hues that coordinate with every mood, every style and every season, and your manicures and pedicures last an extremely long time without scratching, fading, or chipping. 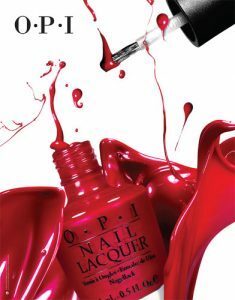 OPI offers a full line of professional items, including nail treatments, finishing products, lotions, manicure/pedicure products, files, tools and acrylics. OPI places a strong emphasis on corporate social responsibility by raising funds and awareness for numerous charities through retail partnerships and grassroots philanthropic initiatives.